News TV Channel / La Nación is an Argentine daily newspaper. 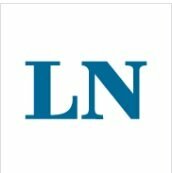 As the country's leading conservative paper, La Nación's main competitor is the centrist Clarín. The paper was founded on January 4, 1870 (replacing the former publication Nación Argentina), by former Argentine President Bartolomé Mitre and associates. Until 1914, the managing editor was José Luis Murature, Foreign Minister of Argentina from 1914-1916. Some of the most famous writers in the Spanish-speaking world: José Martí, Miguel de Unamuno, Eduardo Mallea, José Ortega y Gasset, Rubén Darío, Alfonso Reyes, Jorge Luis Borges, Mario Vargas Llosa and Manuel Mujica Láinez have all appeared regularly in its columns.